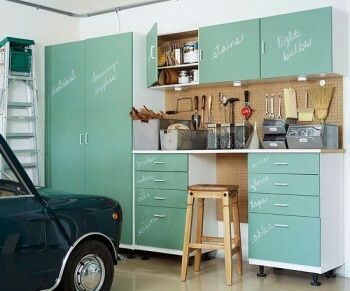 How would you see the interior décor of your garage? Is it a well-planned place in which your heartthrob man mobile dwell along with other tools and other man toys in its assigned position? However, it rarely occurs that way. What I have come across during my past encounters with the garages is that, they are all places that are shunned upon and longing for answer that will at least solve the mess. This is the way that my garage appeared. A garage may be a horrible destination. It begins in a way that initially our car stations in the garage. Does your mind recollect it? Any thesaurus will define a garage, as is “a building or shed for housing a motor vehicle or vehicles.” The time forces us to leave such facts from our memory and we purchase numerous tools and man toys that are vanished or mislaid and are strewn in all places. Believe me or not. However, I am an electric car conversion enthusiast, my garage could get out of my purview in spite of my sincere attempts. The problem enlarged gradually like a role of an eccentric man in a movie based on science fiction. It reached a situation; my ambulatory movements inside the garage came to a standstill. Garage is not a place wherein you find only jigs, electrical machines, as well as tools. There you find also the daring thing. Yes, it is the things that your children has used long back and are now just junks. Things that have lost their sheen and commonly termed as waste find a place here. My garage is yearning for some cleanliness as well as requires a considerate and solicitous care. After encountering lot of trials and tribulations, I got a spiritual flash like idea that imagined my 20’ x 20′ garage space as a place most suited to rest my car. When the available space in the garage will fit my car and only my car, then such a solution will be a marvelous one. It will be a Godsend solution, if we lay our hands in the tools; we want, that too in the first attempt of our probe without toiling around and wasting time. It is very common that tools get lost permanently and after a frenetic exploration, we go in for new tools. Our mind will dwell upon an idealistic situation; wherein, we just enter our garage and kick-start with our loved ones or a pal, in a one go, without displacing all the garb ages strewn around. Such a smooth ride may not be a dream no more and you may soon enjoy a clean and well-planned garage, which will make your love woman shower you with lots of love. Well pals, I have broke the iron curtain and made my way. I have come out of this most annoying problem. I made my mind to make my garage orderly. I have landed on a very nice garage problem solver, which gives provision for the bikes above the floor and give enough places to do other things on the floor. First, my spouse and I did was to dispose of the un-wanted ones out of the garage and that fetched me some dollars too. The next step is to go in for garage storage systems and in the process, my tools got a marvelous home to get them stacked. The tools got a respite as well as I got my mind back as well as my tools handy. How I forgot to divulge the new garage storage solution to you all. It is surprising! It paid me well with a lavish floor space and I am sure without an iota of doubt on the efficacy of this storage solution that made my garage not a place where devils dwell but a place where angels dance. Many more to say but searching for words and my garage has become a peaceful place to get myself distressed. Above all, my suggestion is to get your garage in order and whatever you spend on it is useful and gives your bucks, its value.